Time flies as we chat about PAA memories with one of our stars! I can't believe we're just finished week 5?! We're half way through the term already! 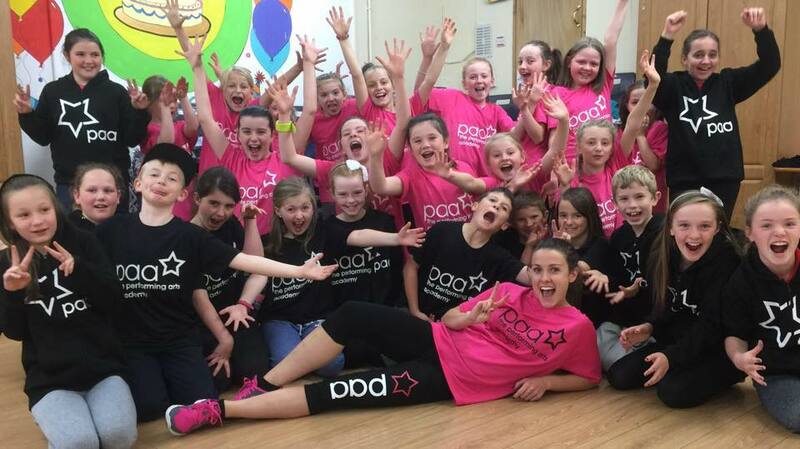 The weeks are flying in and our PAA-ers are working so hard in preparation for the show in the Helix in May. I had a lot of fun this week teaching the Saturday's drama classes, and helping the Senior class prepare for their Group Drama exams. It's amazing to see the students' performances growing week by week. As part of their exam, each group has been asked to prepare a published short play no longer than 10 minutes. Our three groups have very different pieces to prepare and the contrast between the groups' performances makes for a great drama class. We'll get a behind the scenes look at drama pieces over the next few weeks to keep you all in the loop! Our star of the week last week was Miss Mia Mahon, who is a brilliant performer every week, always enthusiastic and has most contagious smile! I caught up with Mia to ask her 'five random questions', which is going to be a regular feature on the blog.. Come chat to me if you wanna join in!! 1) What was your last dream about? My last dream was that I was in a gymnastics class and I was at a high level but I couldn't do any of the tricks!! They were all doing handsprings and backflips but I was still at the handstand stage!! 2) Would you ever want to learn to fly? I would like to learn to fly because when it was cold in Ireland I could fly to hot places like Florida and fly over the entrances to Disneyland and get on all the rides for free! 3) Who's your favourite Superhero? My favourite superhero is WonderWoman because she is so cool and she isn't a boy like most superheroes, but is just as good a superhero!! I dressed up as her for Halloween one year! 4) When was the last time that you felt lucky? I last felt lucky a week ago when I won star of the week and when my Gaelic team beat Aghards 12 goals 14 points NIL!! And I scored 3 goals! 5) What's your favourite PAA memory? My favourite PAA moment was finding out I was Alice in Alice in Wonderland, because it was the first time I had a main role in a show and it made me really happy! Great answers Mia, love it! There's only two weeks left until we leave Celbridge to visit lovely Kenmare for our Halloween camp! I'm so excited.. Get ready Kenmare, we're coming for ya!